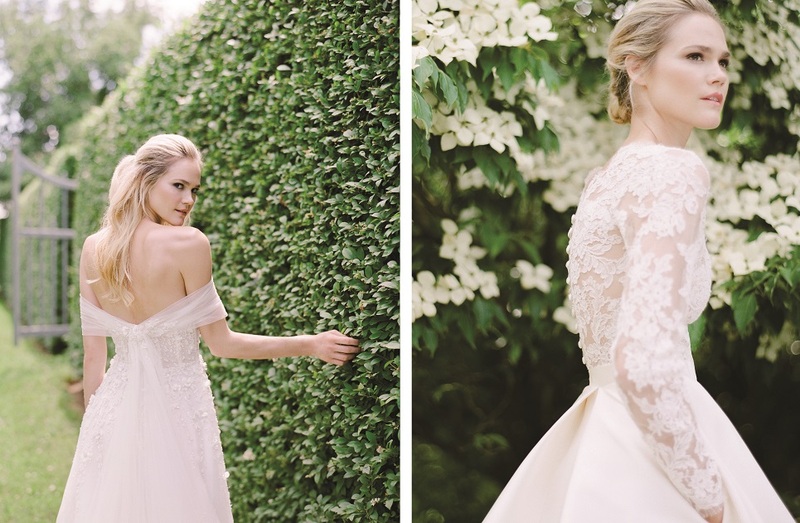 Anne Barge's 2019 Collection is perfect for brides searching for that effortlessly beautiful wedding dress. Inspired by floral elements, the gowns are ethereal and timeless with intricate beading, statement embellishments, and long style lines in soft silhouettes. 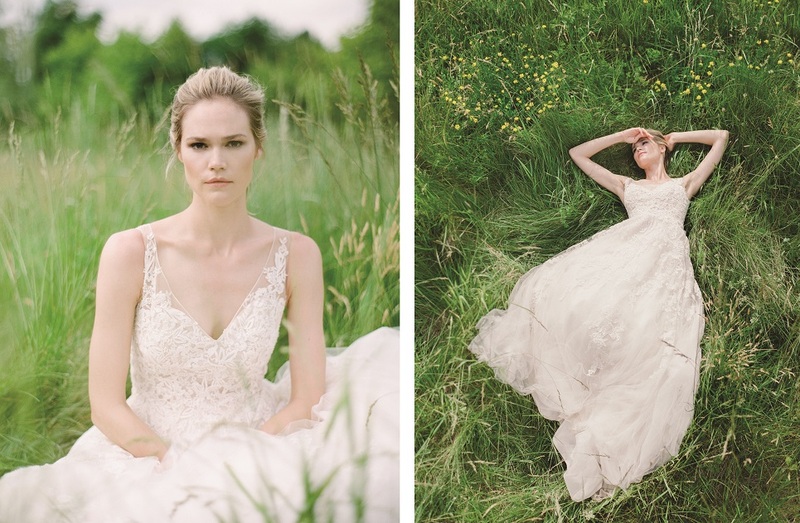 We're swept away by this beautiful inspirational shoot inspired by the mid-summer sun and set in a lush garden, describes art director Annie Cavallo, "She is one with the garden, daydreaming amongst the flowers, she awaits all that is yet to come." Aubrey gown (see above for description) On left: Amal strapless gown with a multi-directional draped silk satin chiffon bodice and silk Kalika trumpet skirt.